The individually configurable Mattec portal milling machines can be integrated into almost any production, so that our equipment is not targeted at specific industries. From the manufacturing of specialty graphite products and the construction of coiling machines right up to the component production for high-quality sports cars – SIRtec has machine solutions for every application. In the following you will find some examples of customer applications. The aerospace industry has specific requirements with regard to special workpieces made of tough materials. The necessary rigidity in combination with an optimum cutting performance is most important. In these cases it is essential to ensure a rigid and stable machine structure. 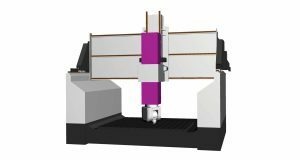 In accordance with this specification, SIRtec has constructed the Mattec high compact which is characterized by an inherently rigid, fixed machine table and a fully enclosed working area. The energy industry produces highly demanding parts. 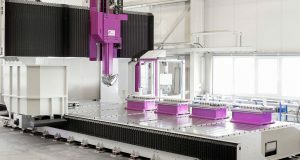 The components for energy systems, such as wind power stations and turbines, must comply with a proper production line (high-performance turning, milling, drilling). SIRtec will be happy to assist you in developing a productive solution by either creating an innovative production line or optimizing your existing production line. 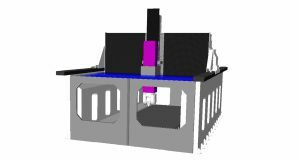 Model and mould constructors, vehicle designers and prototype constructors are in the right place at SIRtec. With the Mattec portal milling machines your designs will come to life. Due to the cooperative relationship of SIRtec and it’s customers, we were able to work together on the development of the ideal milling machine for the automotive industry – the Mattec high was born. 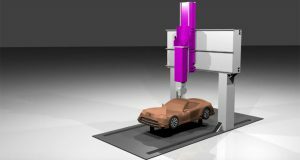 Because of the individually configurable working areas, SIRtec ensures 1:1 processing of model cars. The minimal range of tolerance provides precise results. “Size” is the keyword in this industry. In order to be able to process the enormous components, an even more powerful machine is required. To meet these high standards, SIRtec builds your custom machine as long and solid as the floor loading allows. The very stable machine concept fully accommodates the heavy-duty requirements of the rail transport industry. The maximum rigidity of the machine structure ensures outstanding surface qualities and accuracies along with excellent productivity. From modern yacht construction in GFK design to heavy steel shipbuilding, robust, powerful and in some cases particularly large machines are in demand. The limits of the machine length of a Mattec portal milling machine are set by your premises and your floor load capacity. Due to the very stable machine concept, Mattec portal milling machines guarantee a strong performance and highest precision. Therefore SIRtec can also provide optimal support for this industry. 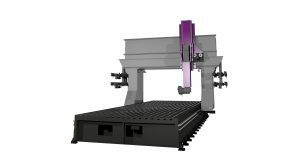 Mattec portal milling machines offer an individual configuration according to your needs and requirements on site. The modular construction provides for maximum flexibility in terms of workable installation sizes and available equipment so that a Mattec portal milling machine can be integrated into almost any production. Stability and high quality are two key factors of Mattec portal milling machines. class="page-template page-template-page-sections page-template-page-sections-php page page-id-2940 page-parent samba_theme samba_left_nav samba_left_align samba_responsive cookies-not-set wpb-js-composer js-comp-ver-5.7 vc_responsive"